A medium long hiking tour, with all typical landscape elements of the lower Sauer valley: mystic forest with high beech trees on the nothern, nord-eastern hillside, shell limestone rocks, vineyards and dry grassland with high biodiversity and a beautiful viewpoint over the Sauer valley. 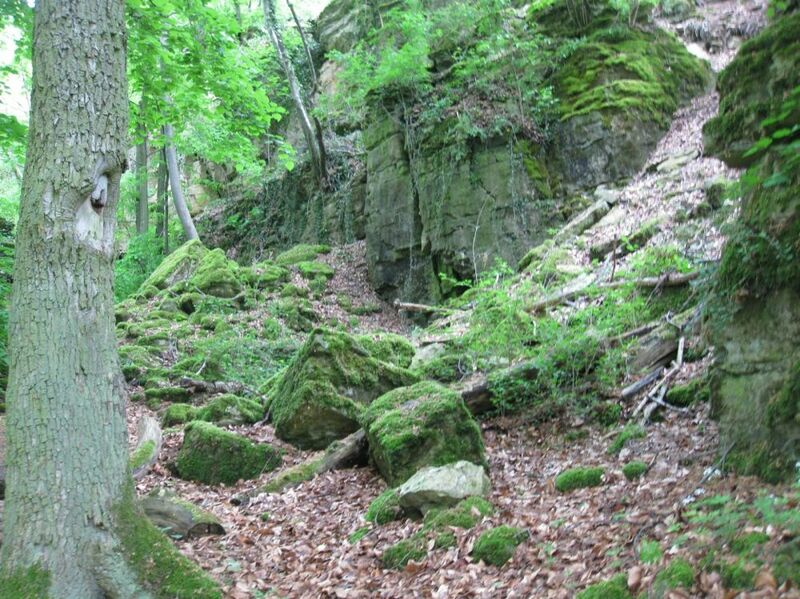 Following a legend a white women is living in a crevasse in the limestone rock (Kimmhäischen) and sometimes she appears in the forest. Dear hiker, you should be attentive and open to an unusual encounter.